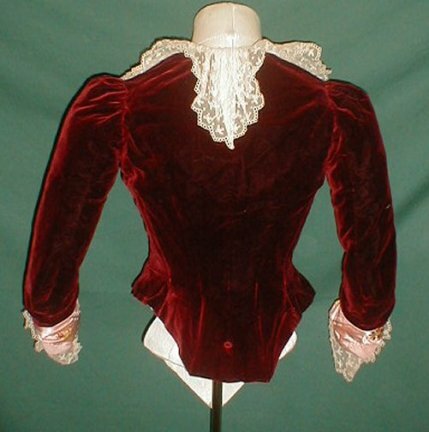 A beautiful and rare Maison Rouff (House of Rouff) burgundy velvet and pink floral silk evening bodice. The Maison Rouff establishment was at 13 Blvd. Haussmann in Paris. 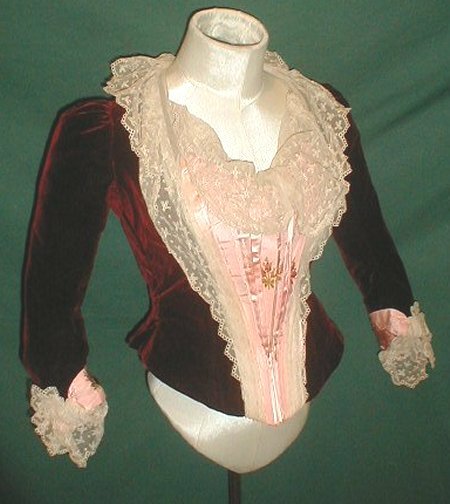 This bodice is an early 1880-1890 example of the fine craftsmanship of this couture house. 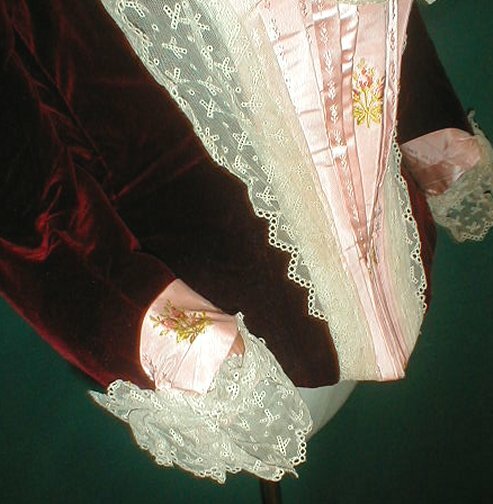 The front of the bodice has a pleated insert of pink silk that is decorated with dark pink and red rose buds with green leaves. The neckline and front of the bodice are trimmed with lace. 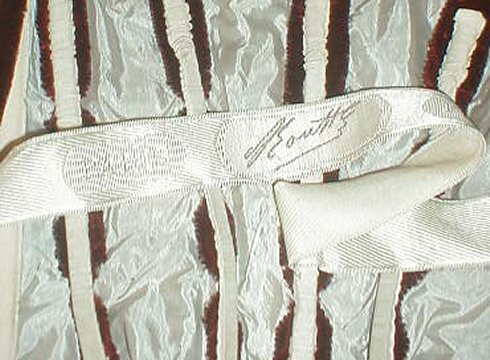 The sleeve cuffs are trimmed with silk and lace. 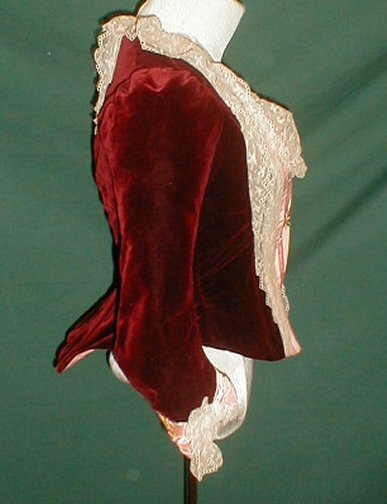 The bodice is lined with white silk and has a front hook and eye closure. It is in very good condition. There are no holes and no underarm discoloration. There are a few pencil tip side holes in the silk lining that are barely worth a mention. Maison Rouff garments are rarely seen on the open market and this is a great chance to own one. Bust 32 Waist 24.